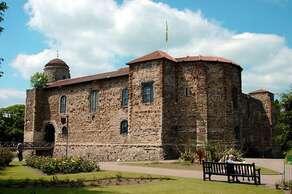 Colchester Castle in Colchester, Essex, England, is an example of a largely complete Norman Castle. It is a Grade I listed building. Castle Museum today reveals many fascinating layers of history to visitors. Archaeological collections of international quality covering 2,500 years of history are beautifully showcased, including of the most important Roman finds in Britain. Colchester Zoo is a zoological garden situated in Colchester, England. The zoo opened in 1963, originally known as Stanway Hall Park Zoo. It is home to many rare and endangered species, including big cats, primates and birds. 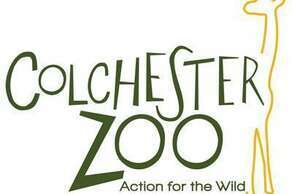 Colchester Zoo is supported by Action for the Wild, which assists conservation projects worldwide through both financial and technical assistant. The Discovery Centre is open daily from 9.30am and can be found to the left of Jungle Tumble, at the top of the park. It is approximately 4 miles away from Star Anglia hotel. 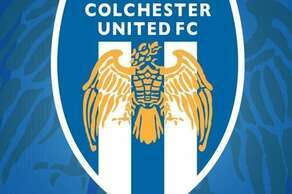 Colchester United's proposed move to a new stadium has been an ongoing situation for some thirty or more years now, but as the 2005/6 season approaches, the U's - and the town of Colchester - stand closer than ever to fulfilling their dream of a new sports facility. Since the middle of 2004, there has been significant progress with regard to the plans at Cuckoo Farm. Much of this progress has come since October 2004. The current administration at Colchester Council has made big strides towards completion of the new community stadium and, at the time of writing, completion in time for the start of the 2007/8 season remains the target. The East Anglian Railway Museum is located at Chappel and Wakes Colne railway station in Essex, England, which is situated on the former Great Eastern Railway branch line from Marks Tey to Sudbury. Services on the Sudbury Branch Line are operated by Abellio Greater Anglia. Audley End House is a largely early 17th-century country house outside Saffron Walden, Essex, England. It was once a prodigy house, a palace in all but name and renowned as one of the finest Jacobean houses in England. Audley End is now one-third of its original size, but is still large, with much to enjoy in its architectural features and varied collections. It is currently in the stewardship of English Heritage and remains the family seat of the Lords Braybrooke. Dedham Vale is a designated Area of Outstanding Natural Beauty on the Essex-Suffolk border in east England. It comprises the area around the River Stour between Manning tree and Small Bridge Farm, 1 mile (1.6 km) east of Bures, including the village of Dedham in Essex. It is part of the area known since the artist's lifetime as Constable Country, as it was made famous by the paintings of John Constable. Among many other works of the area is his 1802 Dedham Vale in the Victoria and Albert Museum in London. Cancellation Policy:There will be fee cancellation charge if a booking is cancelled before 10:00 hotel local time, 1 day before your date of arrival. If the booking is cancelled later, or in the case of a no-show, the first night will be charged.Internet:WiFi is available in the hotel rooms and is free of charge.Payment Policy:The guest will be charged for the first night's 1 day before prior arrival and the full payment will be processed on the day of arrival verified by chip and pin by the customers.Pets:Pets are not allowed.Children:All children are welcome in our family suite and double ensuite accompanied in existing bed.Visitors are not permitted in the guest room.Identification:Proof of ID (Driving license or Passport) is required by the guest for check in together with a credit or debit card.Smoking:We are a NON SMOKING hotel.Should it be found that you or your guests have smoked in your room, a £100 cleaning fee will be added to your stay using your credit or debit card in addition to costs such as, but not limited to, deep cleaning and burn repairs. Smoking out of hotel windows is classed as smoking in the premises. In line with the new non-smoking regulations, we have the right to ask any Customer who is found smoking on the hotel’s premises to leave the hotel. Car parking:The Globe Hotel and the Star Anglia Hotel will not be held responsible for any damage or loss from vehicles parked in the car park.Guests park at their own risk.Room service:I agree if I forgo daily housekeeping service the hotel may enter my room weekly for cleaning, inspection and maintenance.Please sign above to acknowledge and accept the terms and conditions.Please provide your email address if you would like to receive special offers.